Watershed Watch Salmon Society’s mission is to catalyze efforts to protect and restore BC’s precious wild salmon. Through scientific expertise, strategic alliances, outreach programs, and innovative projects, Watershed Watch is at the forefront in sounding the alarm on threats to salmon, and in prompting action to help them. Our many years of experience uniquely position us to identify and act on existing and emerging threats to wild salmon. 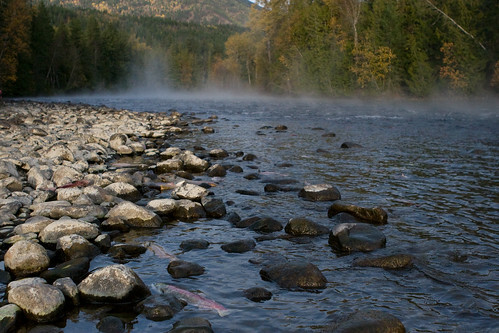 We have been instrumental in drawing public attention to such key issues as: the threat posed by sea lice; water management; unsustainable harvesting; the long-term benefits of saving wild salmon; the impact of hydropower projects; First Nations’ monitoring of salmon and salmon habitat; and the potential impacts of groundwater withdrawal on wild salmon.